....For what is a Valentine's day without the tooth-aching sweets? 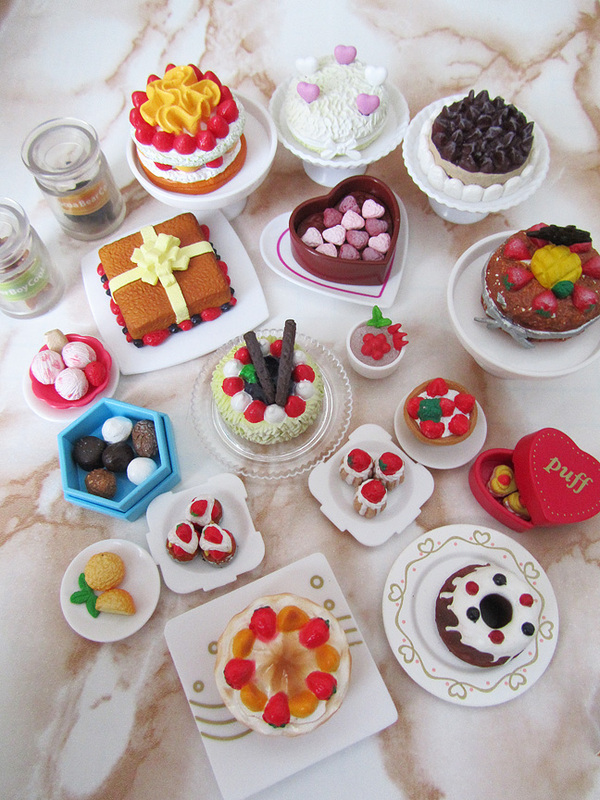 These miniatures are mostly by Orcara with a couple of Rement in the mix. 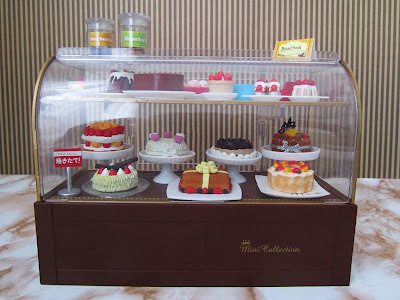 When not in use, they are displayed in a Megahouse bakery display cabinet to keep them from those excited dolly hands. Although awesomely cute and functional, the Megahouse bakery cabinet is slightly short and more to scale with 9-10" dolls. Photographing 12" fashion dolls means having the entire cabinet propped up by display risers. 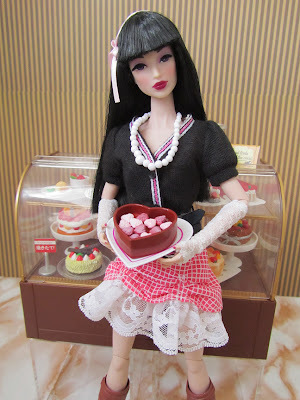 Dani demonstrates this concept as she offers some Valentine goodies. Hmmm.wondering which treat to get...they look so tasty. LOL!